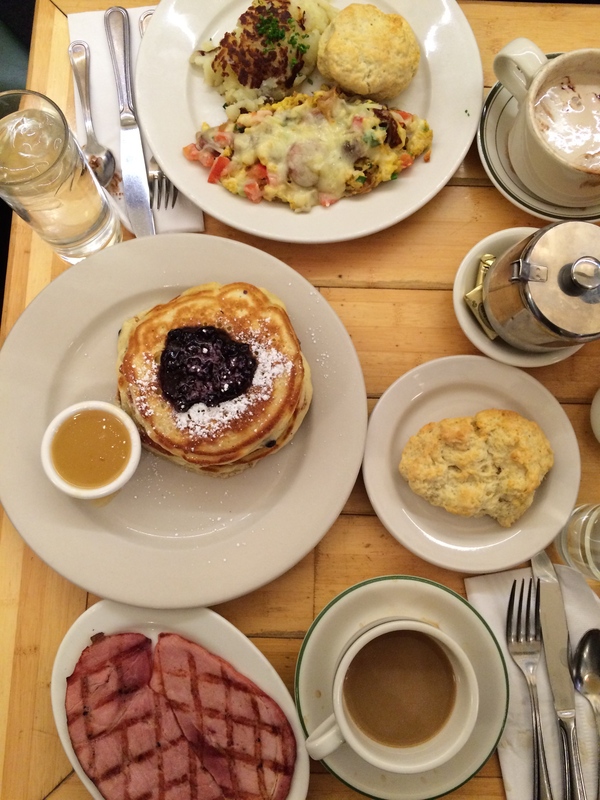 Celebrate Pancake Month At Clinton St. Baking Company! 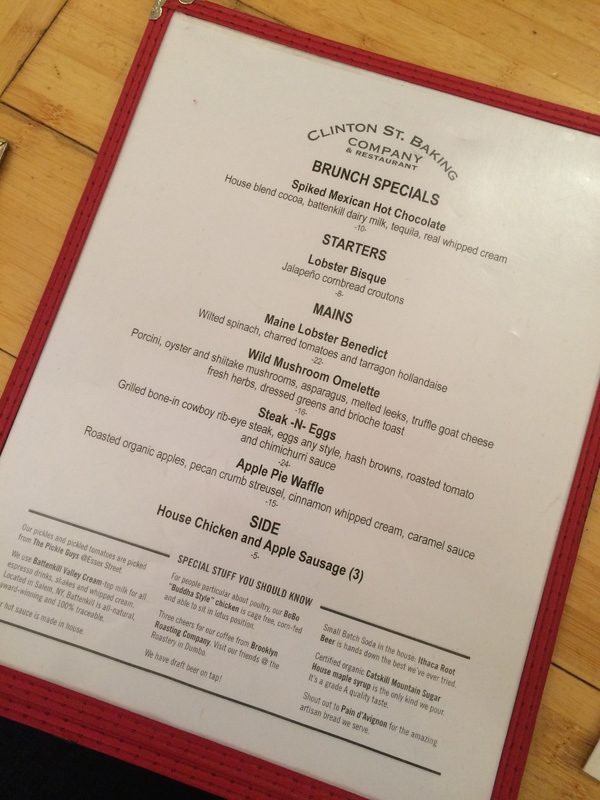 – Celebrate Pancake Month At Clinton St. Baking Company! 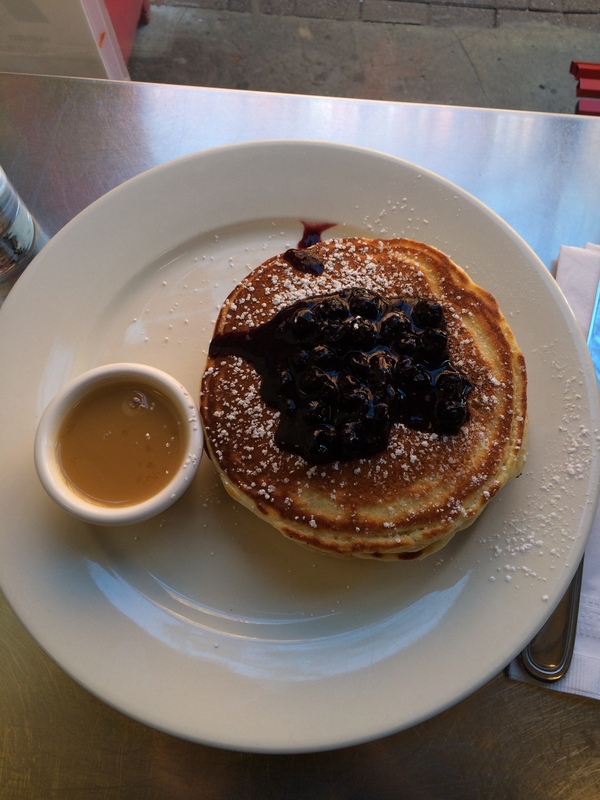 Celebrate Pancake Month At Clinton St. Baking Company! Did you know that February is Pancake Month? Yup, it’s the month that we celebrate those delicious flapjacks that always make for the perfect breakfast. However you like your pancakes, whether it be topped with blueberry or strawberry compote or whipped up with sweet chocolate chips, Clinton St. Baking Company has the perfect stack of cakes for you! 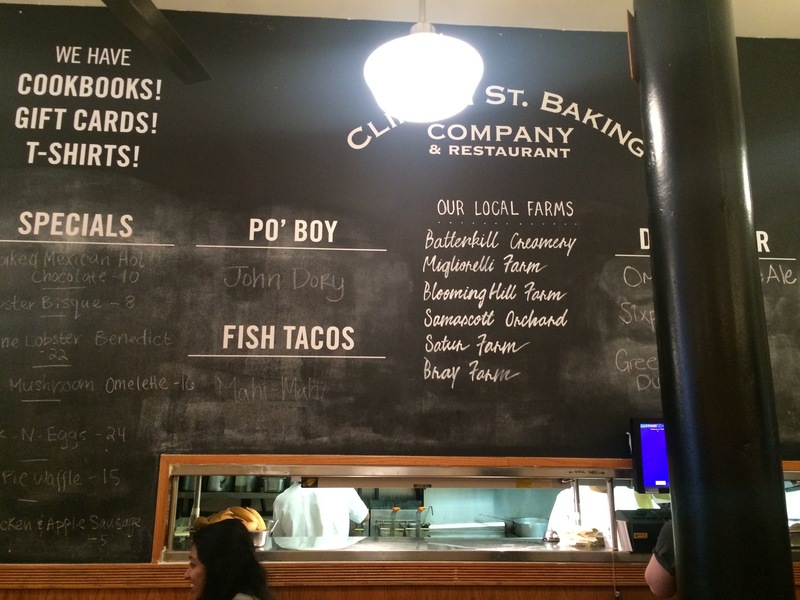 I visited Clinton St. Baking Company on a cold Saturday morning in January. I arrived at about 10:30am with my sister who was taking me on a brunch date. I had seen previous pancake pictures that she had taken and I was extremely excited to indulge in a sweet syrupy experience. She warned me that the wait would be two hours. which is normal for a Saturday morning at this pancake house. (I suggest that if you go, you arrive as early as 8:30 am if you don’t want to wait because on weekends there is always a wait. If you go during the week, there isn’t much of a wait time and pancakes are served all day.) Once we sat down, my experience was absolutely exquisite. 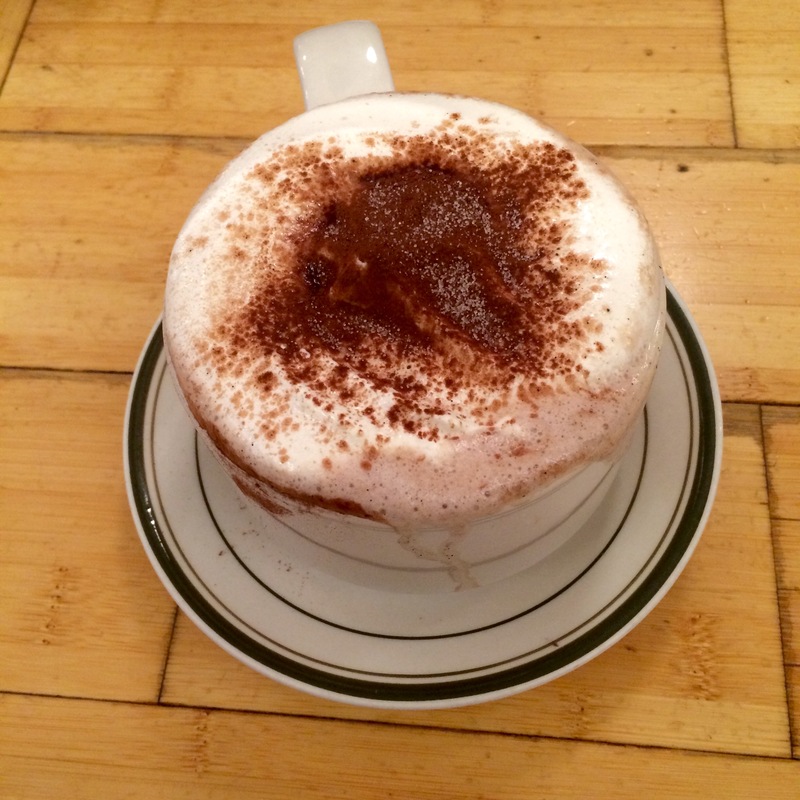 My meal began with their House Blend Hot Chocolate which instantly warmed my heart and soul. Now on to the main course of divine deliciousness. 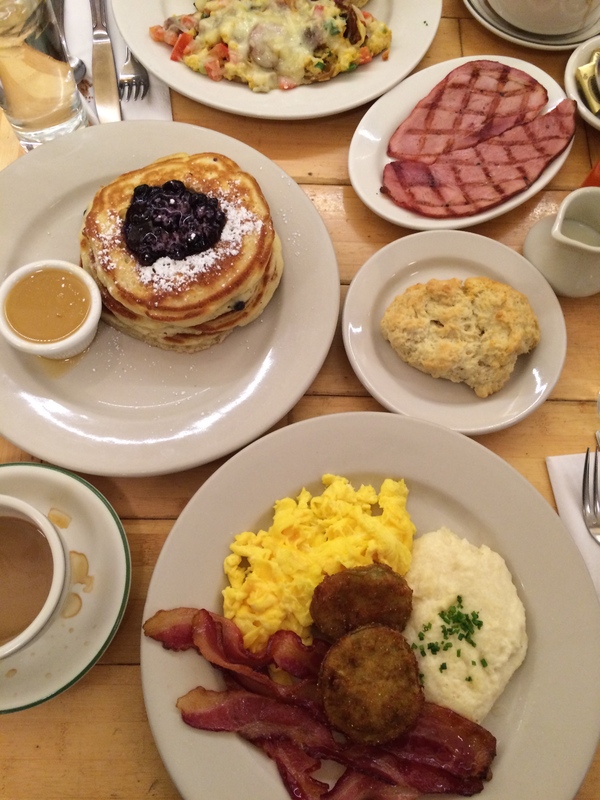 We ordered everything you could think of, Pancakes with Warm Maple Butter, Spanish Scramble, Maple Cured Ham, Neil’s Biscuit and a Southern Breakfast. 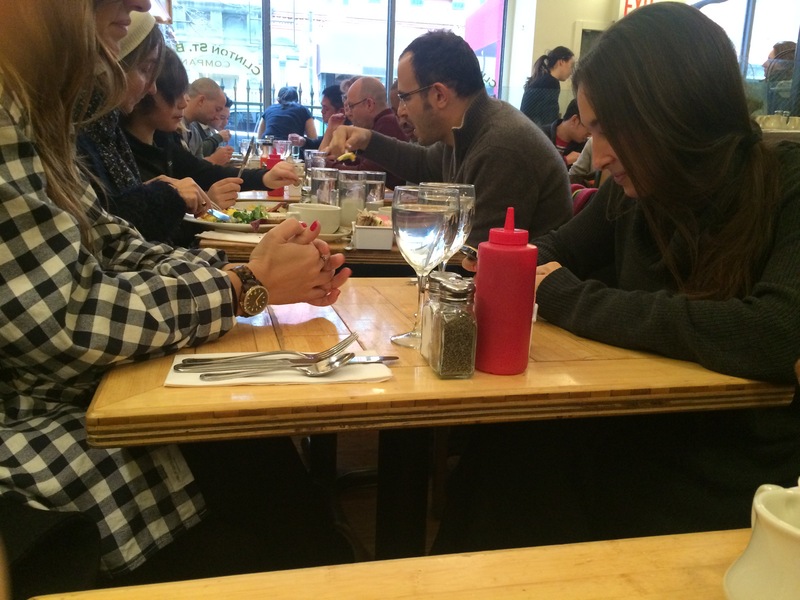 I mean look, we were there for a true dining experience, don’t judge! Quite frankly, I’ve never had a breakfast experience quite like it. Everything tasted as amazingly perfect as it looked. While eating it began to snow, it added to a beautiful movie-like experience. Anyway, all month Clinton St. Baking Company will be offering different combinations of their pancakes. Visit clintonstreetbaking.com for a full list of their pancake creations. I will be returning to celebrate pancake month with them, I may also even dine with them for lunch and dinner because they do offer a thorough dinner and dessert menu. 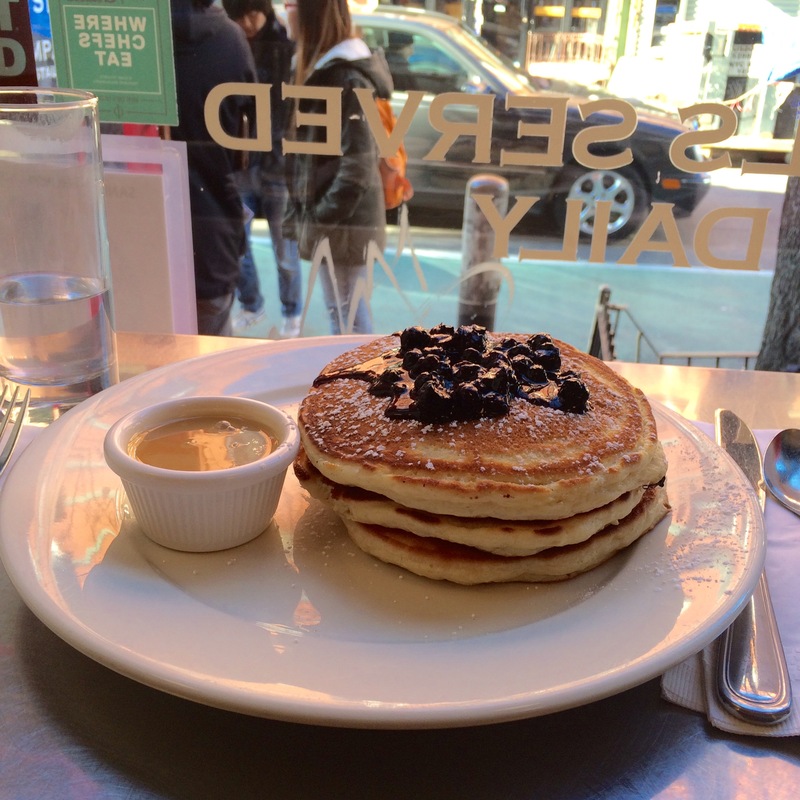 Until we meet again, Happy Pancake Month to Clinton Street Baking Company!